Bah! 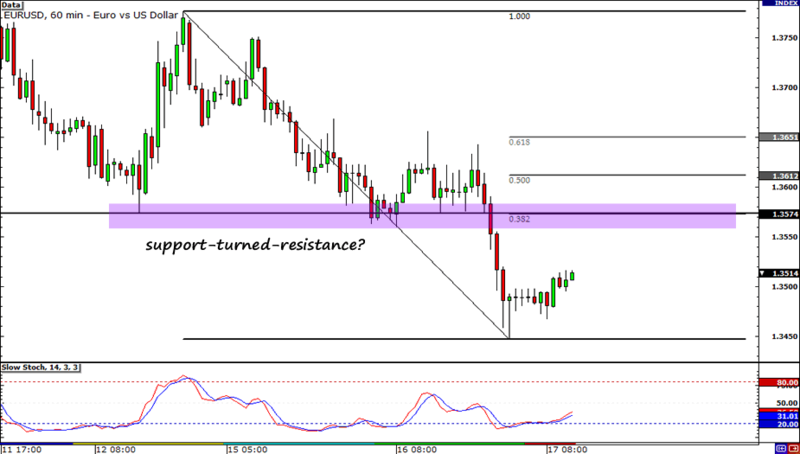 I thought EUR/USD was in the midst of a new downtrend, but I was wrong. Apparently, the market took the news of Ireland banks needing a bailout as GOOD news and bought up EUR/USD. How messed up is that?!? In any case, this trade sets me back 130 pips or 1.0% of my account. Yes, yes, I know… Losing is part of trading, don’t blame anyone but yourself… Sigh. Can’t help but feel bad though… I guess I’ll just have to lose more to get a hang of trading, right? Hah! Shorting the euro is back in fashion! The euro has been dropping faster than the ratings of Conan O’Brien’s new show, and I want my piece of the action! Apparently, concerns on Ireland’s possible need for a bailout continue to plague the markets and this is not making the euro bulls happy. On the other side of the coin, the dollar has been rocking the pip charts for the past few days since the U.S. began to show good surprises in its economic reports and the Republican Party began taking digs at the U.S. Fed’s quantitative easing decision. As for the technicals, I saw the pair dropping almost consistently in the one-hour chart. 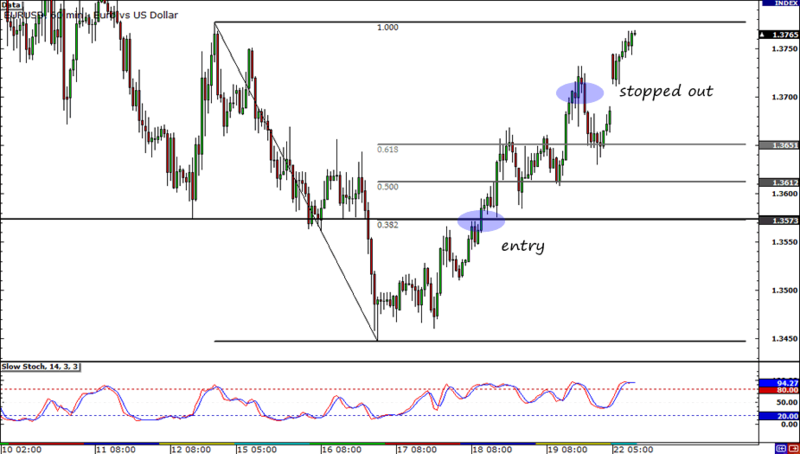 I placed my order right at the 38.2% Fib because Stochastic tells me that the pair can still rise a bit. Now, if price goes my way, I will take half my position off at former lows and put a trailing stop on the other half of my position. By doing this, I am able to lock in profits and make sure that I catch the big wave! I will place my stop the 61.8% Fibonacci retracement level, which is roughly equal to two-thirds the pair’s average true range. Short EUR/USD 1.3570, pt1 at 1.3455, pt2 yet to be determined, stop loss at 1.3700. I hope this round of euro-selling hasn’t lost steam yet! Wish me luck on this one!